Giving homework to clients is a technique that many therapists are beginning to adopt as a way to improve their success rate with clients. But it often times doesn’t come easy. A lot of therapy clients struggle with homework and hardly complete it. Adding a layer of workload to both parties seems like a strange tactic, but homework in the context of therapy has become an effective way for clients to practice their skills outside of therapy sessions. When clients do homework, it also provides therapists with a window into the daily life of their client. Homework can be an advanced method of collecting insights and bringing together data that can impact everything from treatments, diagnoses to the actions within sessions. As a tool, there are many negatives and unsuccessful stories behind the use of homework. Despite its benefits, homework can cause a lot of struggles for clients. It’s important that therapists are aware of the flipped dangers of using homework to help combat any signs or issues that occur when this is implemented. Our exploration into the homework has showcased techniques and approaches that therapists can use with clients improving the likelihood of completing homework as they get started. Making sure your clients don’t relapse with a negative impact from the struggle with homework is fundamental to the success of your sessions. Clients don’t want to witness “failure”. Clients head to therapy to help conquer their anxieties, disorders and worries, not to gain additional ones from the struggles they suffer from homework piled on by therapists. Guiding clients through homework can help to improve your chances of success. Simply by increasing the access to your guidance can help to curb bad habits, avoid mistakes and even keep up the momentum of homework. Homework, once mastered, provides clients with an outlet to share, grow and improve their mental well being without the need to hand-hold them every single day. The ability to complete homework out of sessions does provide individuals with a freedom to control their own anxieties and mental conditions using proven techniques that allow them to take the step in the right direction. Although homework does demand respect between therapist and client, the benefits and potential success of homework outweighs the losses, this we have seen from research, documented in our piece on homework success. To understand how to avoid this, exploring why clients struggle with homework and completion of it, should help you build a better outline to make progress outside of therapy sessions. Why do clients struggle with homework? There are a lot of ways why clients can struggle with homework. Many of them are solvable by communicating regularly with your client and providing support to their needs and problems. During an exercise set by a therapist, a client might be asked to relive or experience a state of stress or anxiety. This might not have been intentionally set but during the exercise, they come across this as a challenge or bottleneck to accomplishing the homework. Homework that relieves trauma isn’t recommended early on in the homework cycle. Adopting techniques that provide stability and control during the first stages of assigning homework can help with momentum and progress using their confidence as a steer. A paper by APA, the American Psychological Association discussed the benefits of using a client’s strengths as a method of moving forward with homework to further improve the success rate as a client begins their journey. Typically, the client doesn’t have full control of their schedule or routine. This struggle of having a busy plan tends to damage the chances of homework being completed. Homework is designed to layer the sessions, as a way to build healthy habits and routines but to further the quality of the sessions. But the sessions are normally fixed and uninterrupted, not reflective of the world around us. Social media, friends, family, events and activities even workload can stunt the flow of homework time. Life sometimes happens to us, and we need to drop the plates around us and grab time to recalibrate or simply to relax. Try to communicate with your clients, without pressure, about whether they’d be able to complete this workload. Send them reminders during the week, with a tool like Therachat that allows you to schedule those reminders ahead of time. Often times clients just forget about the homework. This accountability can help them remember and to complete the homework for the next session. No access to social support can sometimes be the downfall of homework. Having someone cheerlead you as you go through therapy can be the ideal motivator to success with homework as well. Asking your clients to speak with family and friends about the homework, even to help, will provide them with more accountability and even motivation to complete the workload. Try to encourage your client to speak with others and understand that the sessions and homework are embarrassing but helpful in achieving success. The type of homework you give clients, is an issue a lot of clients struggle with. Sometimes overlooked a lot of the time, the type of homework can really impact the success rate of the task. For example; if a client struggles with written work, passing this onto them can cause stress and anxiety that they don’t need. Speaking with your client beforehand about the best way to document this can help to boost the chances of their completion. Asking them to capture audio or even video content might provide them with a more comfortable outlet than using written work, or the opposite. Remember to ask them which one they’d prefer. A client might struggle with homework through the act of being silent about issues or failures. Asking your client how they felt about the homework or even whether it suited their style of work will help them to flag any issues that they may be having with the homework. A lot of anxiety and stress might have been caused due to worrying about the homework or even by the details of the homework like type, timings, deadline dates etc. So making sure you have an open-all-day communication will help to curb this. Making progress outside of the sessions is important. 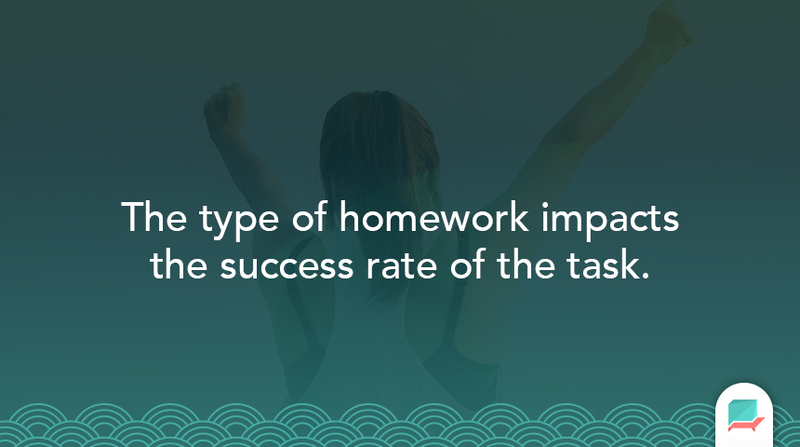 Doubling the success and even the chances of success can be opened up with the introduction of homework. The best thing to have with homework is a ready-to-go plan to reduce the chances of hiccups or even struggles like this that the clients could face. 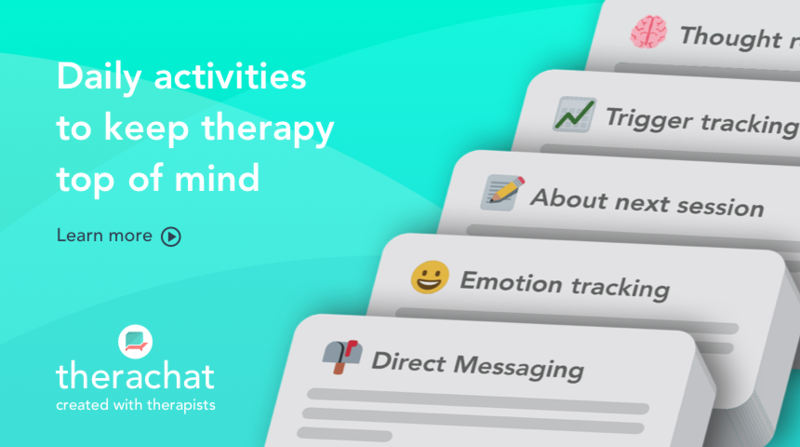 Tools like Therachat, that allow therapists to customize and schedule homework for clients online not only helps the professional to save time in between sessions but also helps clients by reminding them of the homework on their smartphones. Let us know if you’ve had any known struggles with homework and if you’ve found more practical tips to conquering them, let us know in the comments! What if your clients did their homework? Therachat empowers psychologists and counselors to help their clients finish their homework. Using Therachat increases homework compliance with 80%.